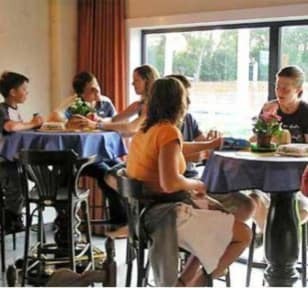 Herdersbrug Hostel i Brugge, Belgien: Reservér nu! 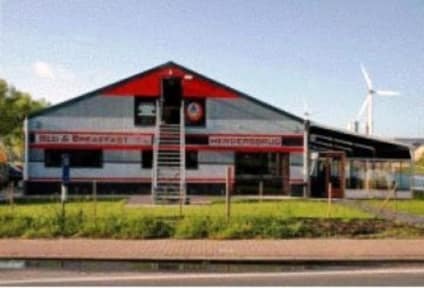 Hostel “Herdersbrug” has recently been renovated. Herdersbrug has 20 rooms. Each room has 4 or 6 separate beds, with separate toilet and shower. Each room can also be booked as single or double. Then an extra fee is charged for the empty beds. All rooms at the property have en-suite, and facilities include a large dining room, TV room, laundry facilities, Internet access, free breakfast and a conference room for up to 50 people. There is also a bar and terrace overlooking the Boudewijn canal. This Bruges property is the perfect starting point to take a stroll along the beautiful canal or jump on your bike and discover the many cycle routes. It’s also part of a rowing club and includes a fitness room with six rowing machines – rowing clubs are welcome to use the training facilities on request. Our breakfast buffet is exquisite. It has an wide variety in choices of bread, cereal, yogurt,... A real must-see! We have a lounge area where you can sit and enjoy television or have a drink. Free Wifi is also available. If you want to enjoy several days and you need assistance in organizing the program, we are glad to help you. We have several partners we can work with to organize different types of programs.